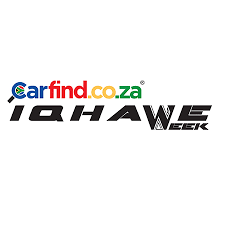 The Carfind.co.za Iqhawe Week for Under-15s got off to an exciting start at the Bill Jardine Stadium in Johannesburg on Monday with a mixture of big wins and tight encounters creating a thrilling spectacle for fans. A total of 47 tries and 303 points were scored on the opening day as the 14 teams took to the field in seven entertaining matches, with Western Province, Eastern Province, the Griffons, Golden Lions, Pumas, Border and Griquas emerging victorious. In the North-South derby, Western Province edged the Blue Bulls 26-20 in a tough encounter in which both sides ran hard on attack. The Pretorians led 15-12 at the break, but two tries by the Capetonians to one in the second half saw them increase their try tally to four, which nudged them into the lead for the victory. Eastern Province’s Wessie Odendaal was a key figure in his side’s 47-7 victory against the Sharks as he scored a try, three conversions and three penalty goals for a personal total of 20 points, while Gershwone Cullen Smith contributed two of their six tries. Their effective defence, meanwhile, limited the Durbanites to only one try. The Griffons overcame a strong challenge from the Valke after holding a narrow 12-10 lead in the second half, to power their way to a rewarding 31-10 victory. Marcus Stols scored two of their five tries, while they limited the Valke to two tries. The Pumas also got their campaign off to the strong start as they defeated Boland – who went down in the final match last year – by 32-20, with their accurate goal-kicking proving crucial in the end. Both sides crossed the chalk four times, but three conversions and two penalty goals earned the Mpumalanga side the win. The Golden Lions delivered a fine second-half showing against the Leopards to fight their way back from 14-5 down for a 29-14 victory in front of their home crowd. Five of the hosts’ players crossed the tryline in the match, while the Leopards scored both of their tries in the first half, but could not breach the defence in the second half. 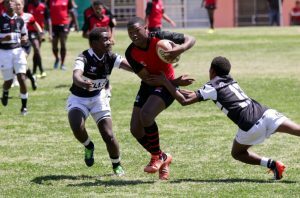 Border staged a dramatic comeback from 12-0 down in their clash against Free State to register a morale-boosting 24-17 victory. The Eastern Cape outfit ran in four second-half tries, with Esenam Mniki scoring a five-pointer and two conversions, while they limited the opposition to only one, to finish the match with three tries. The clash between Griquas and SWD was tight from the outset despite the boys from George dominating possession, with two successful conversions by Griquas handing them a 14-10 victory. SWD scored both their tries in the first half to take a 10-7 lead, but a second-half try by the Kimberley outfit earned them the win.